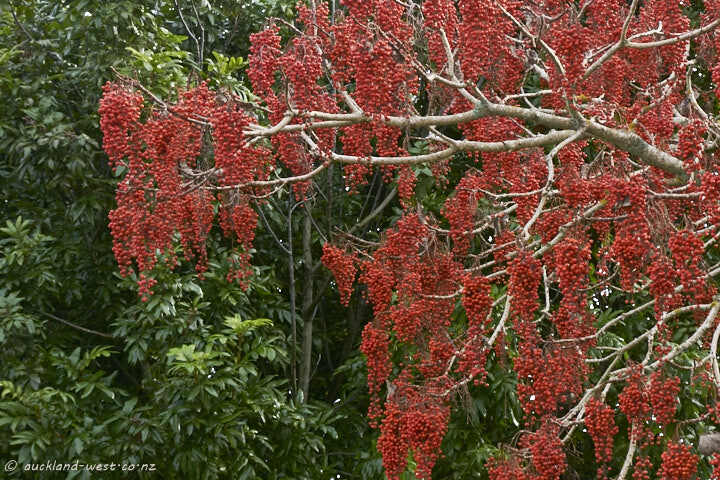 At the “Rocket Park” playground in Mount Albert one finds apair of rather tall Wonder Trees (Idesia polycarpa) – and right now they are laden with their grape-like pendents of bright red berries. You guessed it: it’s a weed (introduced plant which spreads easily). Native to South East Asia. Weed or not, what pretty colour for those berries.